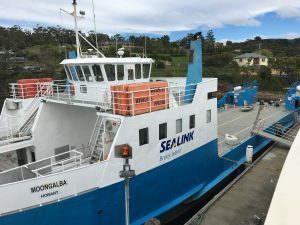 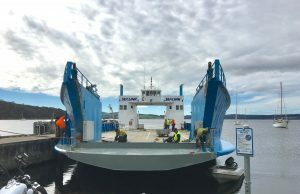 The ferry service to Bruny Island is an important transport link for residents, business and tourists. 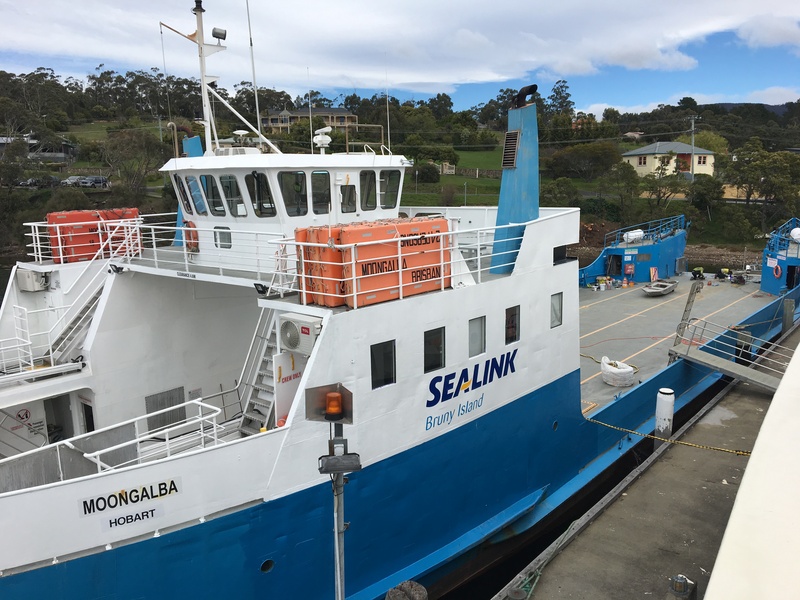 From Sunday 23 September 2018 the service will be operated by Sealink, a major Australian transport company. 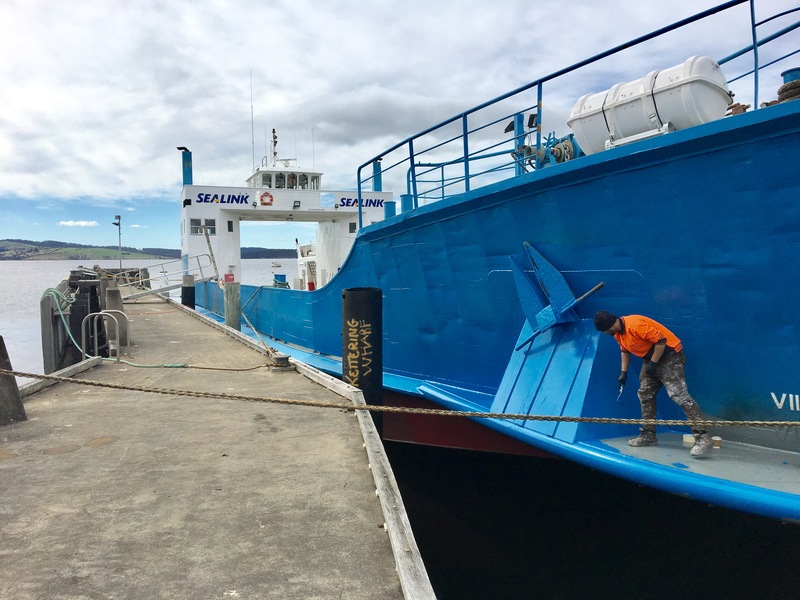 A new timetable is in place and can be viewed by clicking here. 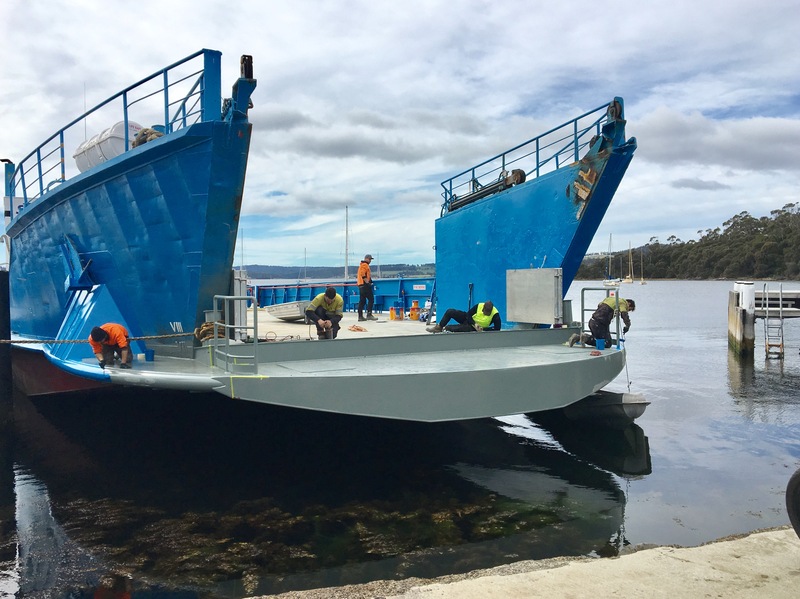 The following photos show the activity around preparing the recently arrived second ferry, the Moongalba.